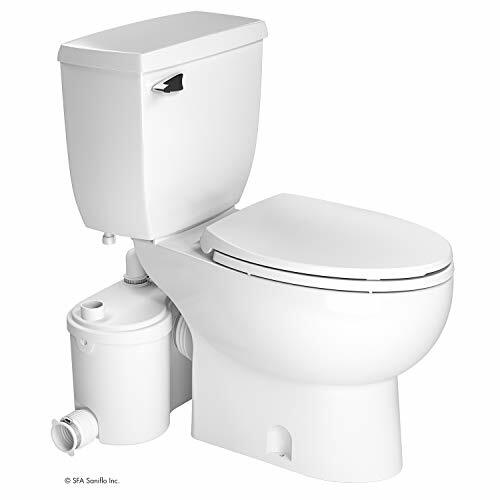 SaniBEST BENEFITS: The SaniBEST is a heavy duty macerating toilet system that is used to install a complete bathroom up to 18 feet below the sewer line, or even up to 150 feet away from a soil stack. 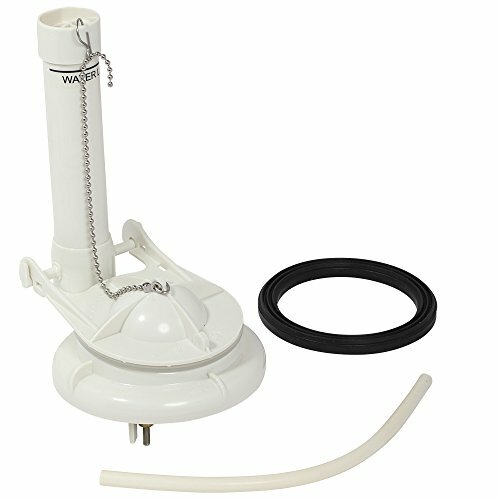 The SaniBEST pump is designed to connect with: 1- This SaniBEST Upflush Toilet 2- Any Sink 3- Any Shower 4- Any Bath 5- Any Washing Machine SaniBEST INSTALLATION: The SaniBEST is simplicity itself to install; there are just four connections. 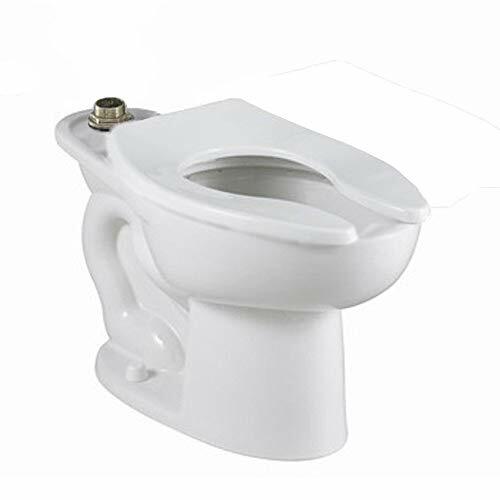 1- The macerating/pump is connected to the spigot of a horizontal outlet toilet. 2- The toilet tank is connected to the water supply. 3- The macerating/pump is connected to the small diameter discharge pipe work. 4- The macerating/pump is connected to the electrical supply. Then optionally connect the discharge pipes from the sink, shower, bath and/or washing machine. SaniBEST FUNCTION: The inside of the SaniBEST comprises of a pressure chamber, which starts and stops the unit, and the motor, which drives the stainless steel macerator blades and the pump. When the flush is activated, the water flowing into the SaniBEST activates a microswitch in the pressure chamber, which in turn starts the motor. The motor is sealed for life in oil filled enclosure. A common spindle drives the impeller and the macerator blades. The moving parts therefore are kept to an absolute minimum. Water and organic waste matter, enter the chamber and are reduced to slurry as the macerator blades rotate at 3600 RPM. The centrifugal force causes the reduced solids to be ejected through a grill into the container where it is picked up by the impeller pump mounted beneath the motor. In addition to the toilet waste, SaniBEST will also discharge gray wastewater from a variety of other sanitary fixtures, such as: a hand basin, a bath, a bidet and a urinal. SaniBEST WARRANTY: Full 2 year manufacturer warranty for repair or replacement. OPTIONS : For Elongated bowl and Extension pipe for behind wall installation, please see our other listings. Brand: Diversey | Manufacturer: Diversey, INC.
10 Year Warranty On Entire Toilet; Siphon Action Jetted Bowl 1, 000 Map; Power Wash Rim Scrubs Bowl With Each Flush; Eve Clean Surface Inhibits The Growth Of Stain And Odor Causing Bacteria, Mold And Mildew On The Surface; 100% Factory Flush Tested; Oversized 3-Inch Flush Valve; 12-Inch (305Mm) Rough-In; 161/2-Inch (419Mm) Rim Height For Accessible Applications; Vitreous China; Includes Design Matched Droplets Slow Close Seat And Cover With Color-Matched Hinges #760140-100.0070A. Seat Model #5214.110 Found In Toilet Seats Section. 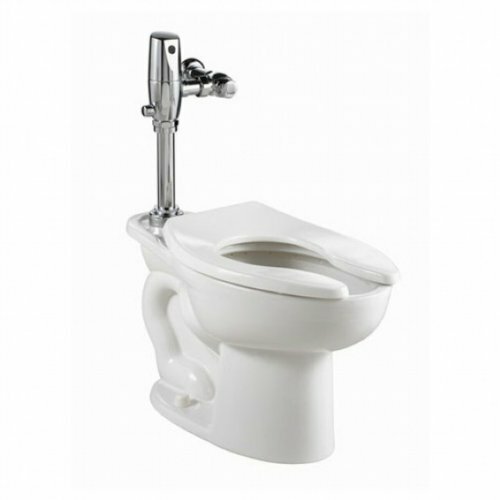 Introducing the new Afwall Millennium FloWise wall-hung toilet line from American Standard. 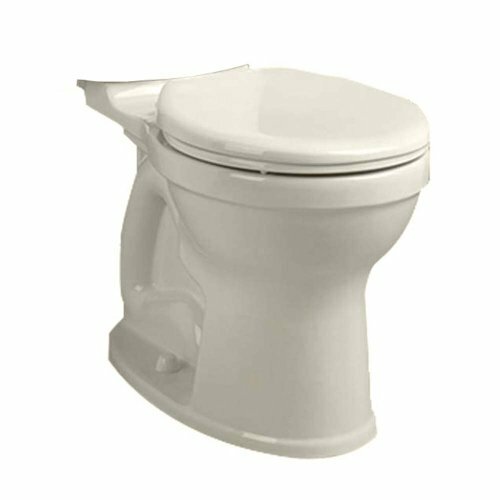 Our reliable and dependable wall-hung toilet is now even better and more powerful with a premier flushing performance at lower flush volume, increased static weight load capacity, and streamlined design. 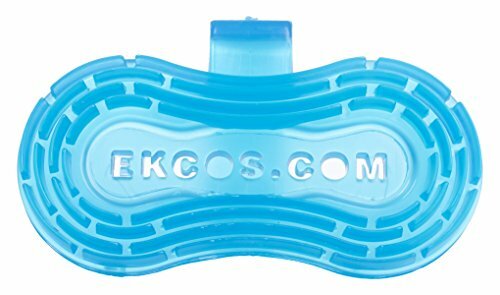 Ekco clip Toilet Bowl Air Freshener by ekcos provides a long lasting, time released fragrance for toilet bowls, urinals and other areas with malodors. The ekco clip easily clips on and has the power to control strong odors leaving your restroom smelling pleasant and clean for 30+ days. 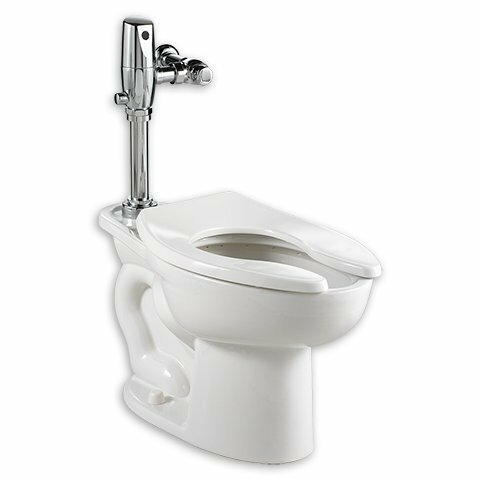 Finish: Bone, Tank Options :With Aquaguard Toilet tank only High efficiency toilet with ultra low consumption meets EPA WaterSense criteria 12' rough in Chrome-plated top mounted push button actuator. 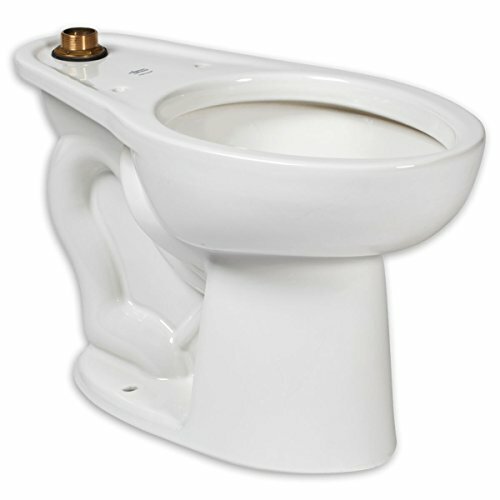 American Standard Toilet Bowl - Madera Youth Flatwise 14 Inch Height El White. Collection Name: MADERA. SIOP Category: Chinaware Commercial Bowl Madera. 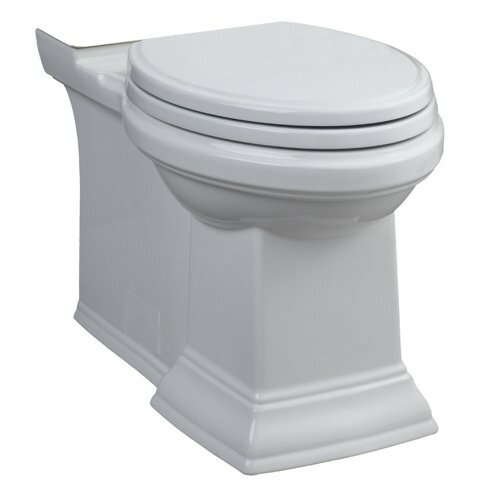 Floor-Mounted, Back-Outlet Toilet Combination Bowl And Tank Less Seat; Elongated Bowl ; Fully Glazed 2-1/8-Inch Trap Way; 10-Inch X 12-Inch Water Surface Area; Elongated15-Inch High Bowl With Four (4) Bolt Caps And Two (2) Floor Screws. 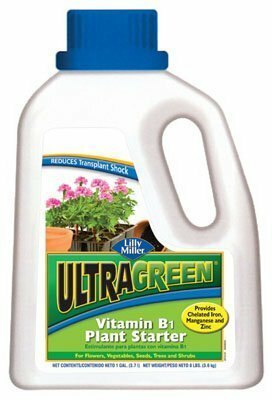 For Use With Both1.6 Gpf And 1.1 Gpf Tanks. Elongated15-Inch High Bowl With Four (4) Bolt Caps And Two (2) Floor Screws. For Use With Both1.6 Gpf And 1.1 Gpf Tanks. 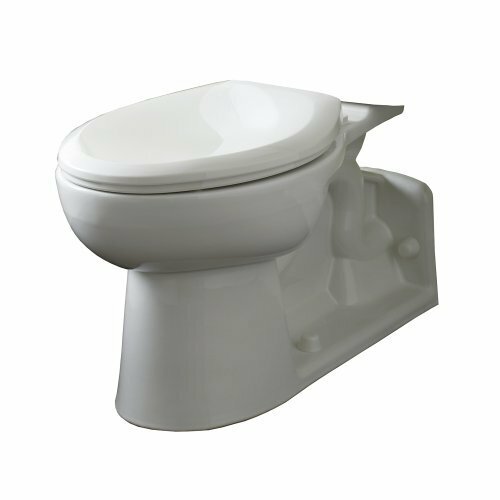 The leader in clog-free performance produces a faster, more powerful, yet quieter flush. The Champion 4 toilet can move a 70% larger mass than the industry norm, so it virtually eliminates clogging. And its EverClean surface on the tank and bowl stays cleaner, longer. This is the bowl only, tank is sold separately. 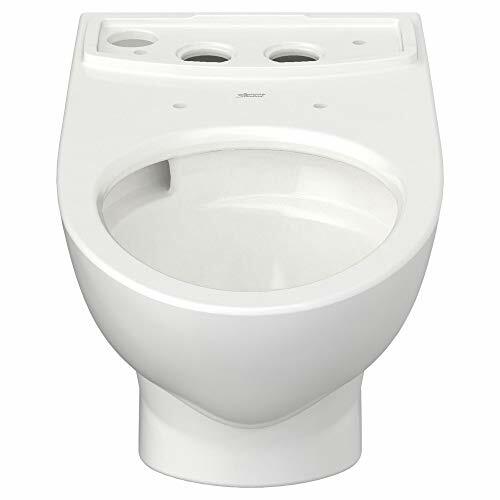 American Standard Toilet Bowl - Baby Deveron Bowl, R, Unit, White. Collection Name: BABY. SIOP Category: Chinaware Commercial Bowl. 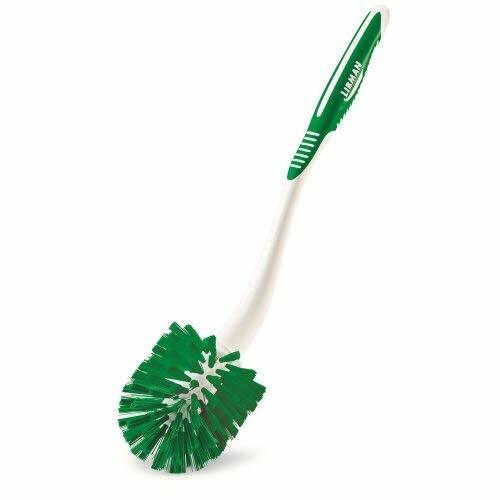 The Libman angled toilet bowl & urinal brush (#1020) has an angled handle that easily reaches under the rim of the toilet. Its 100 tufts of staple set fibers are built for thorough and tough toilet bowl and urinal scrubbing. 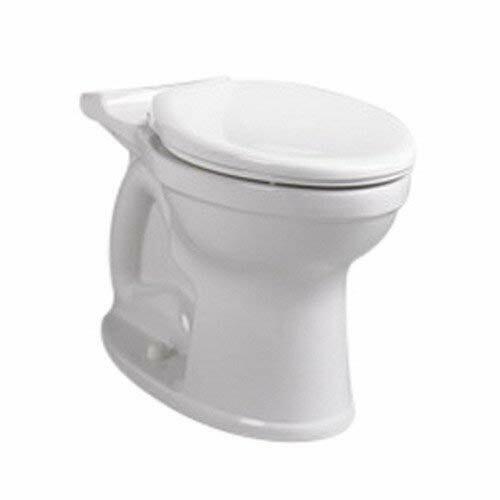 Trade only Cadet Pro vitreous china round front toilet bowl. Power Wash rim scrubs bowl with each flush. Ever Clean surface. Fully glazed 2-1/8" trapway. Generous 9" x 8" water area. 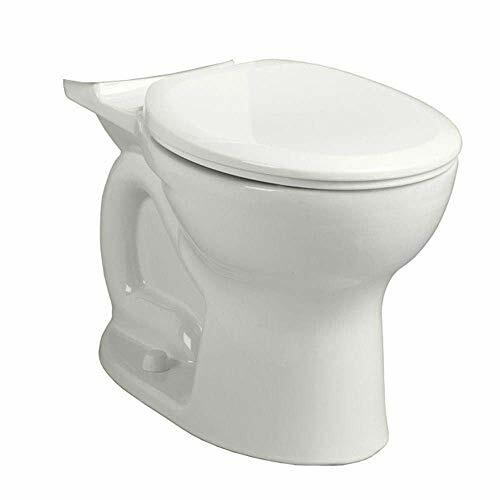 The Glenwall VorMax Elongated Wall-Hung Toilet Bowl from American Standard is engineered for the powerful VorMax scrubbing action by circulating water around the bowl from top to bottom. Features the CleanCurve Rim that eliminates hard to reach surfaces where build-up hides, and the EverClean antimicrobial surface that inhibits the growth of bacteria, mold, and mildew. Designed for easy installation on an existing Glenwall footprint. Durable vitreous china. Low consumption. 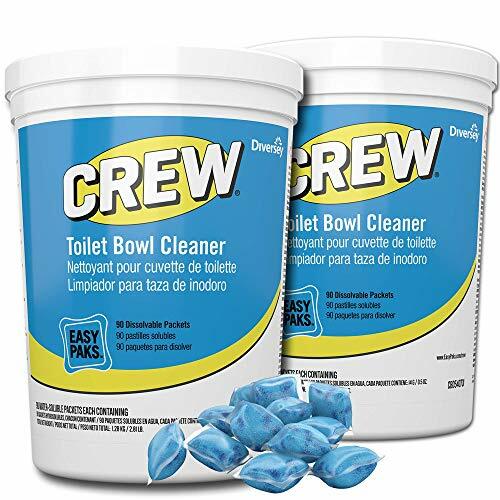 Power Wash rim scrubs bowl with every flush. 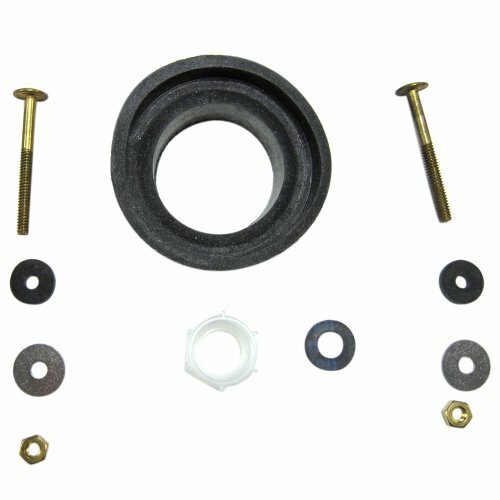 Includes color matching bolt caps. 2" trapway. Generous 9" x 8" water area. 16-1/2" bowl height. 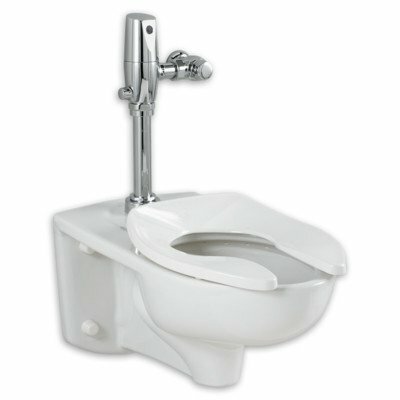 American standard colony, white, elongated front, het toilet to go, right height, ADA compliant, 1.28 gallons per flush, includes toilet bowl & toilet tank, seat, wax ring, flange bolts, standard 12 inch rough in, 2 inch fully glazed trapway, easy flush technology, for Replacement tank use tv #206-076 & for Replacement bowl use tv #206-070.